Matchmaker, matchmaker, make these POPSUGAR staffers a foundation match! 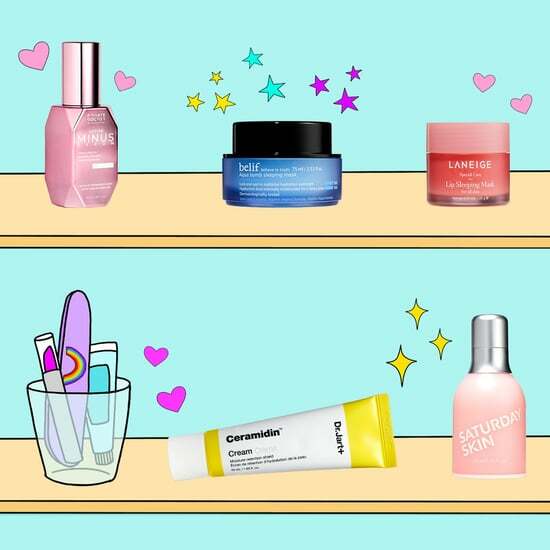 We’ve partnered with Sephora to share how five of its formulas restored our staffers’ faith in foundation. Navigating the foundation landscape is no easy feat; it can be intimidating, complicated, and layered with nuances. One faulty experience can have major consequences, deterring many from using foundation on a daily basis. That was exactly the case for five of our POPSUGAR staffers. 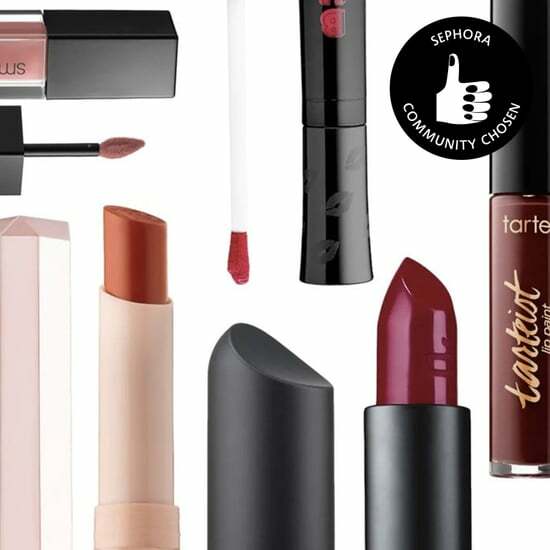 From non-inclusive shade ranges to fearing formulas that were too heavy or light, they’ve all got their own reasons for leaving the product out of their everyday routines. And while we wouldn’t quite label them as foundation “haters,” let’s just say their past experiences could’ve been better overall. 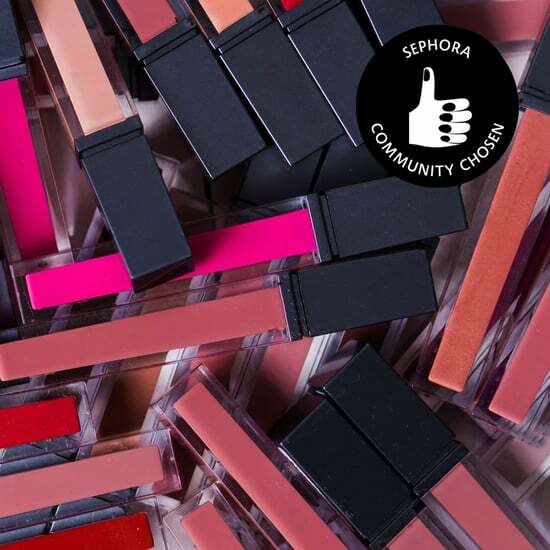 With the help of Sephora beauty advisors, free samples, and the online foundation finder (a busy beauty girl's dream! 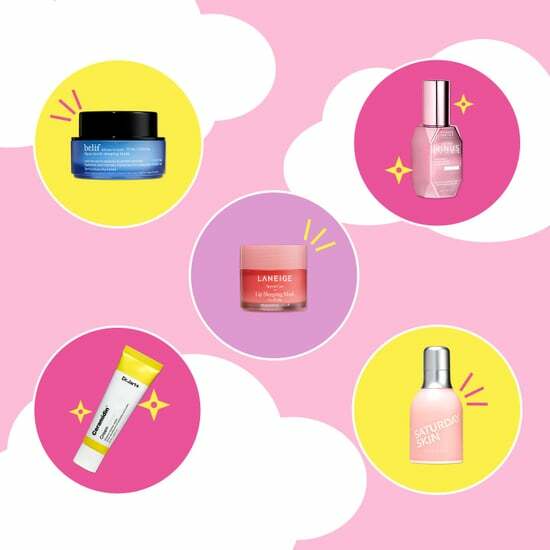 ), they not only identified the perfect formula for their unique skin type and needs, but learned that several brands now offer an expanded spectrum of shades. In other words, they were guaranteed to find their perfect match. In the same boat? Let their experiences convince you to give foundation a second chance. 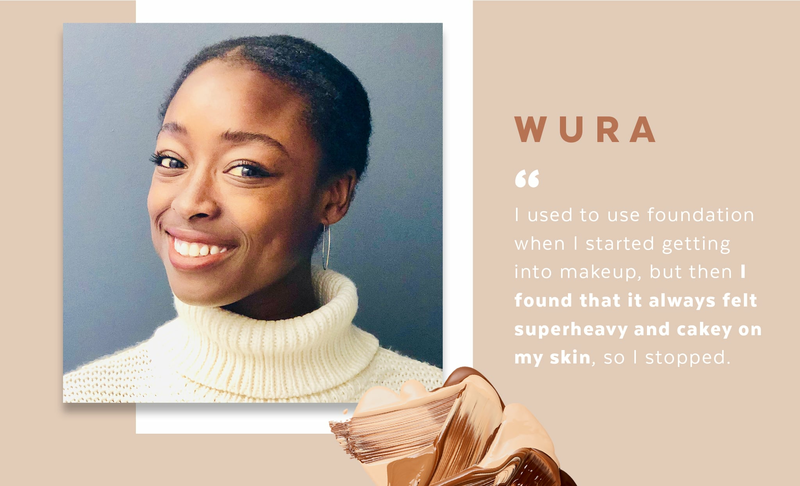 Too-heavy textures and limited shade ranges have kept Senior Insights Analyst Wura Ibidunni from calling herself a daily foundation user. She typically opts for BB cream instead. 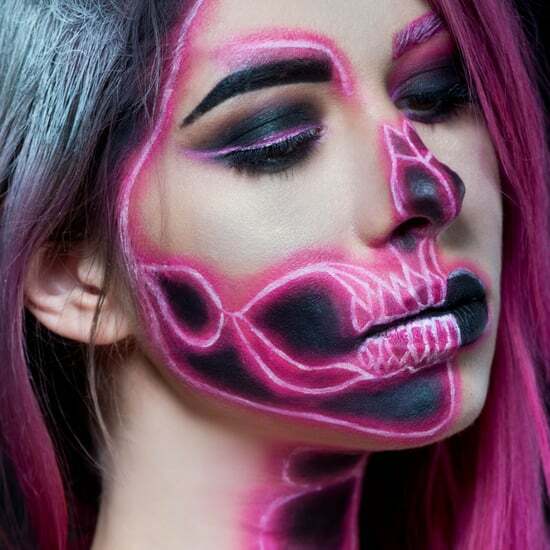 "I used to use foundation when I started getting into makeup, but then I found that it always felt superheavy and cakey on my skin, so I stopped," she said. 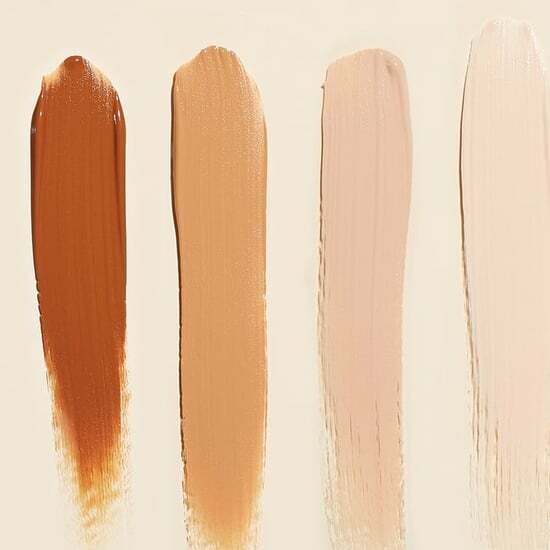 "I always struggled with finding the right shade that didn't make me look too ashy. I'm a little bit darker around my mouth than the rest of my face." On the hunt for a formula that looked natural and gave her combination-dry skin amplified radiance, Wura discovered NARS's Sheer Glow Foundation. "Surprisingly, this foundation felt light, which I liked. I think it did a good job of evening out my skin tone without looking like I caked it on. It also looked very natural, which is a big requirement for me since I like a very natural look." To determine her match in the formula's 40-shade range (featuring a whopping 14 new ones! ), getting matched in-store was the answer. 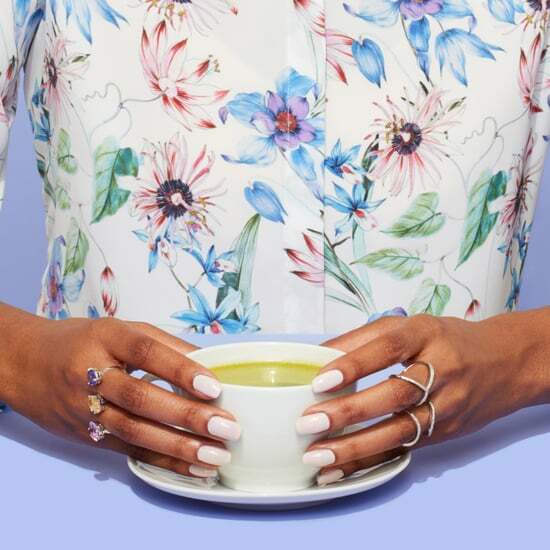 "I felt as if the process had a bit more of a science to it rather than a guessing game of testing various shades, like my previous experiences." For Brand Innovation Director Norell Zable, foundation has always been reserved for specific events. 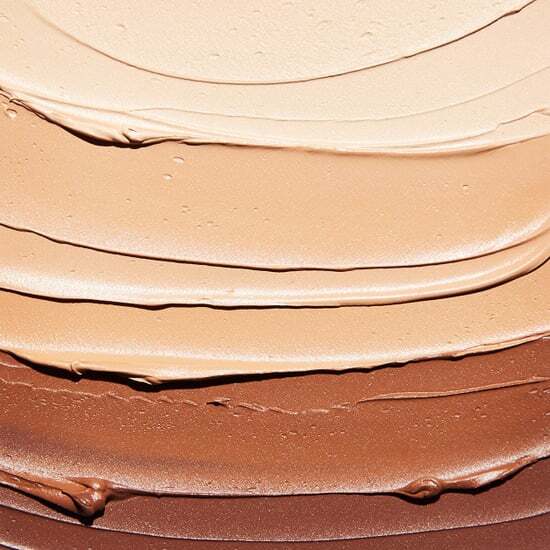 "In the past, I have been very afraid to wear foundation daily — scared it will clog my pores, look dried out or caked on, will be the wrong color, or come off of my face and into my clothes," she said. 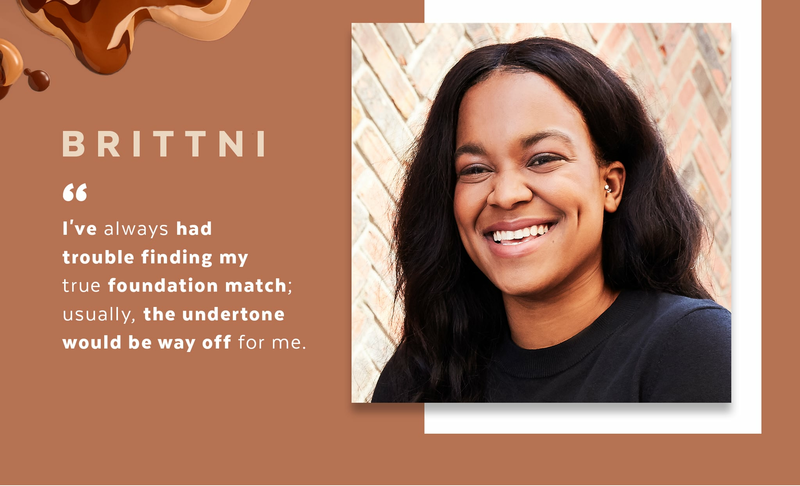 "I’ve saved wearing foundation for special occasions where I know I will be photographed a lot — like a friend’s wedding or a night out with the girls." 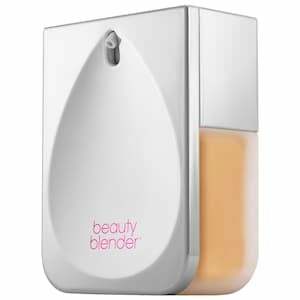 Luckily, Beautyblender's buzzy 2018 release was the answer to (literally) all her concerns. "Every negative thought I had before is an actual benefit of this product. It goes on light-as-air and actually acts as an extra moisturizer because it contains hyaluronic acid to support hydration and prep your skin!" she said. "I even tried on several outfits this morning after doing my makeup, and not one mark came off on any of my necklines." 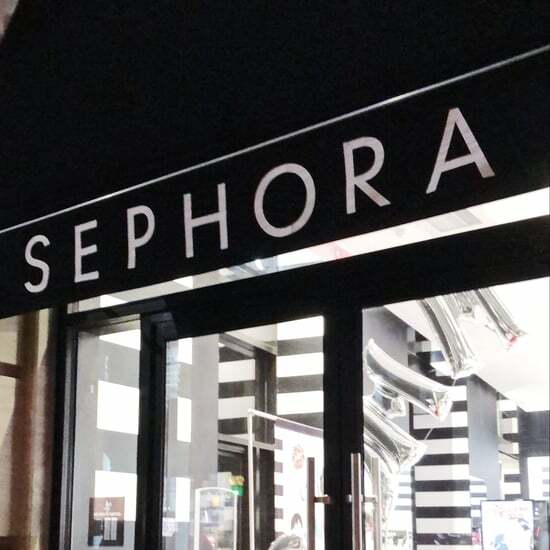 To pair her with one of the formula's 40 shades, Sephora's Color IQ tool, which scans skin for a number that helps find your perfect shade in any foundation, came to the rescue. 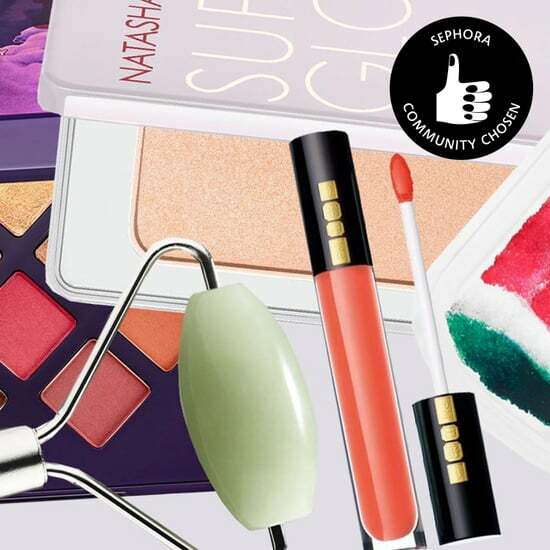 "The beauty advisors at Sephora made it so easy to find my shade, using the Color IQ tool to find my number within a few seconds!" 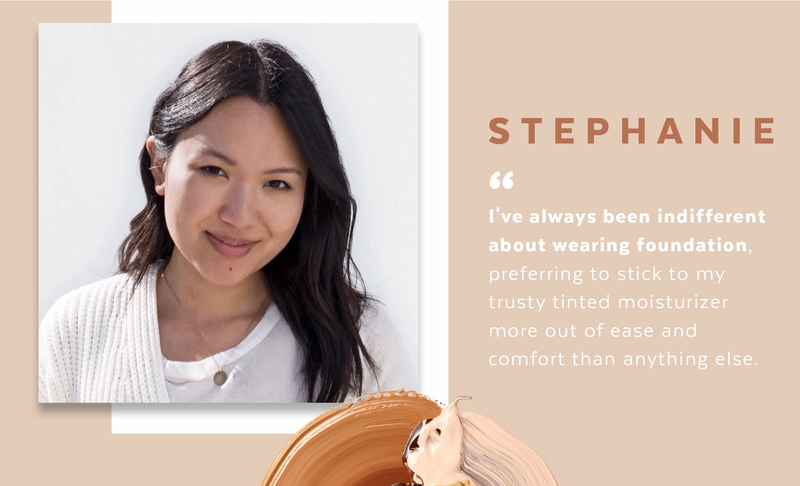 "Indifferent" is the word native fashion editor Stephanie Nguyen uses to describe her feelings about foundation. "I've always been indifferent about wearing foundation, preferring to stick to my trusty tinted moisturizer more out of ease and comfort than anything else," she said. "Aside from being too complacent to begin the search for a foundation, my main concern was that it would be too heavy. I've spent years getting my complexion to a point I'm proud of — why would I want to cover it all up under thick makeup?" 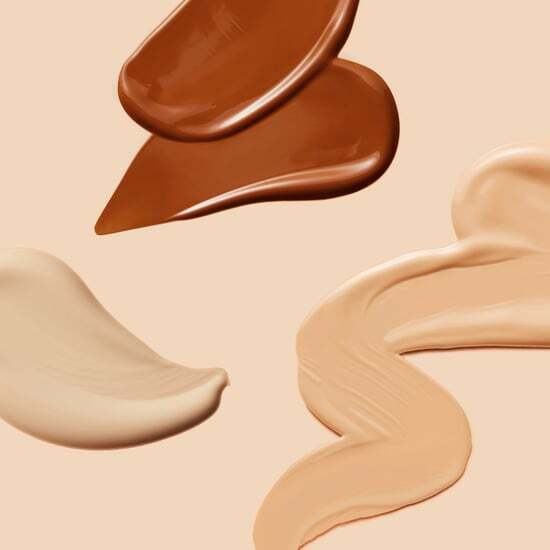 It turns out what she really needed was a buildable formula, and she found it in Fenty Beauty's Pro Filt'r Foundation. 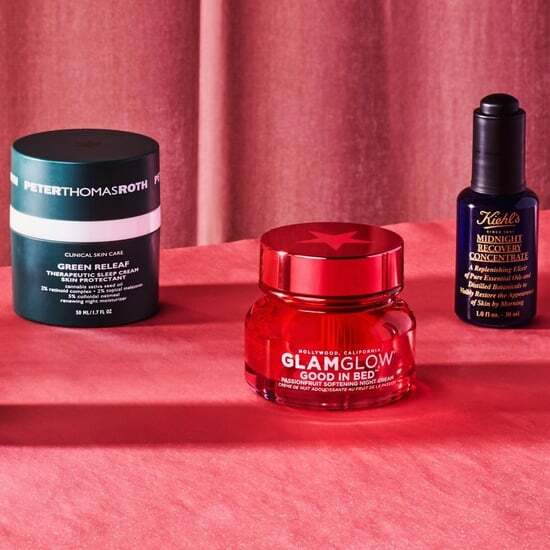 "I was pleasantly surprised not only at how lightweight the coverage could be, but at how much my skin still looked like, well, my skin," she said. "I love that the formula doesn't look or feel heavy on my face, while still providing smooth and even coverage through the end of the day. It never wears off, looks fresh, and controls the shine on my oily T-zone." 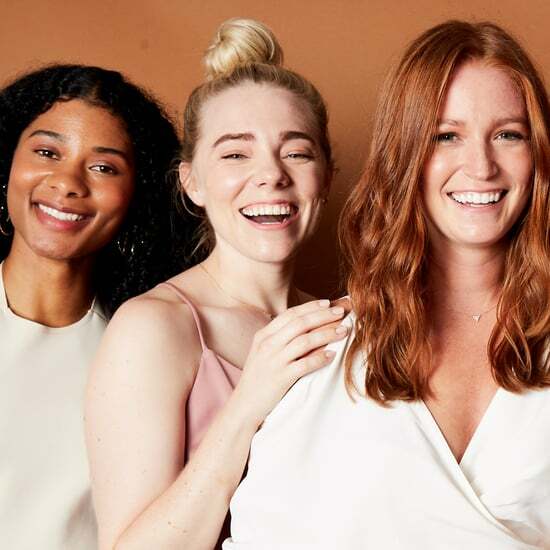 And to expand on the groundbreaking 40 shades the foundation launched with, the brand is now rolling out 10 new shades — including Stephanie's perfect color match. Office Coordinator Brittni Rhoden's relationship with foundation has always been somewhat one-sided. Although she's tried adding it to her routine, she's never been able to find one that naturally mattifies her combination-oily skin and matches her undertone. "In general, I've always had trouble finding my true foundation match; usually the undertone would be way off for me," she said. "I've also always feared that it would not have a skin-like finish and either be too heavy or too matte." 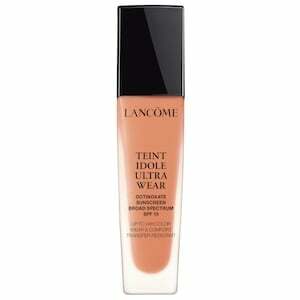 Enter Lancôme's Teint Idole Foundation. A beloved formula in the beauty world, it's not only touted as long-wearing, but offers one of the most impressive shade ranges in the game — 45, with 5 new options! It was just what Brittni was looking for. "I really loved the shade range; often foundations don't have my undertone in the medium-to-deep shade range," she said. "This foundation was super long-wearing, didn't crease on me, and I received a lot of compliments on my skin. For a girl who loves concealer for everyday, this formula is so light that by the end of the day, I forget I have a full face on." 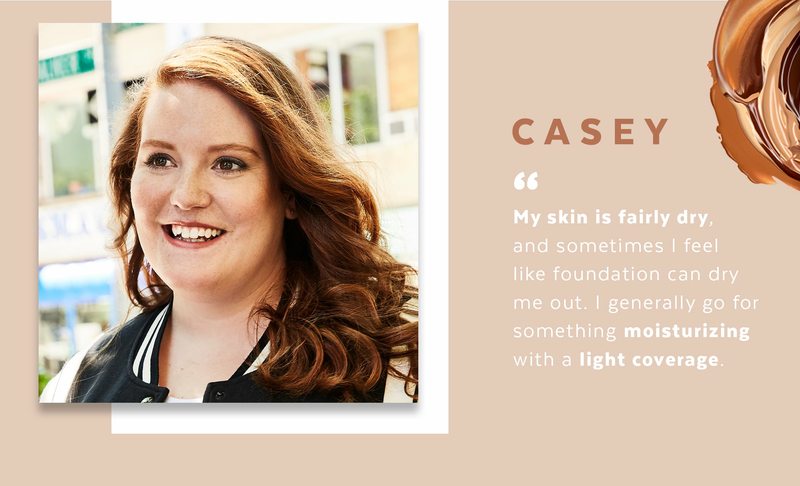 While some fear foundation will make their skin too oily, Creative Strategist Casey McCormick is the opposite. "My skin is fairly dry, and sometimes I feel like foundation can dry me out," she said. "I generally go for something with a light coverage, like a BB cream or tinted moisturizer, but I do love the heavier coverage of a foundation for special occasions." 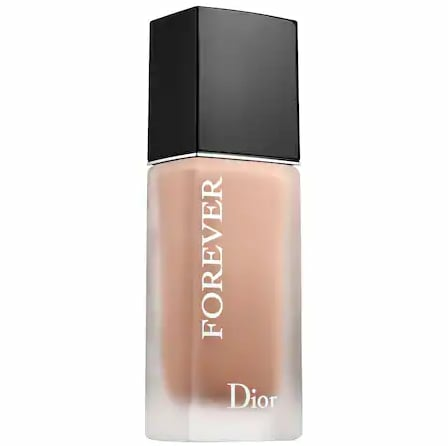 The new Dior Forever 24h* Wear High Perfection Foundation totally fits the bill. Promising flawless coverage and lasting comfort — a top priority for Casey — this 24-hour formula has all of her concerns covered. 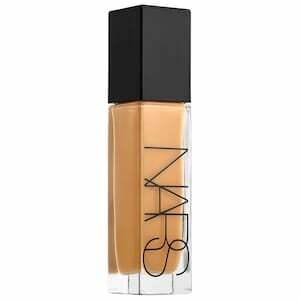 "Since I'm usually such a light-coverage girl, I was surprised to LOVE this foundation. 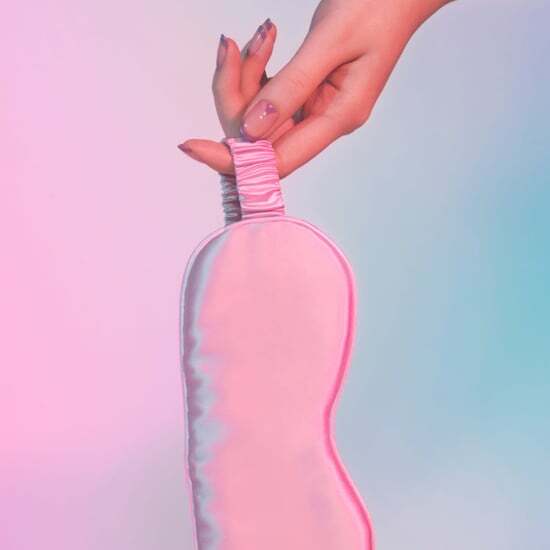 It felt light, comfortable, and made me feel glowy," she said. 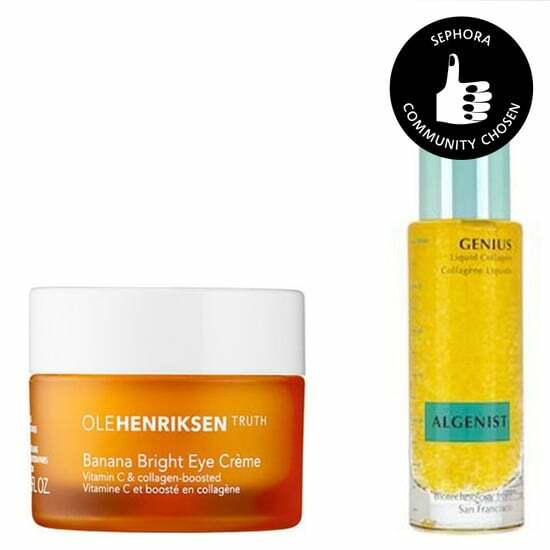 "It definitely felt moisturizing as I put it on, and was easy to apply since it has a similar texture to tinted moisturizer. It also felt so soft and luxe. 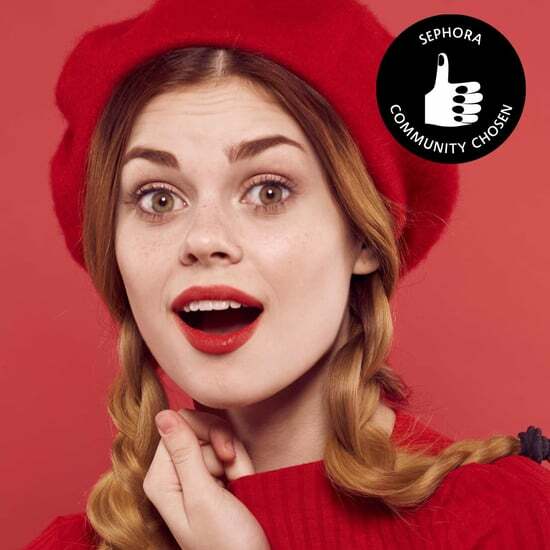 There was no dryness or tightness that can sometimes occur with foundation." To find which of the 28 shades was right for her hard-to-match complexion, trying options IRL was key. "Getting matched in person was really cool and it was fascinating to see all the options that appear for my skin tone. It was a little tricky to match me off the bat due to my freckles, but after playing around with different shades for a minute, we found the perfect one." 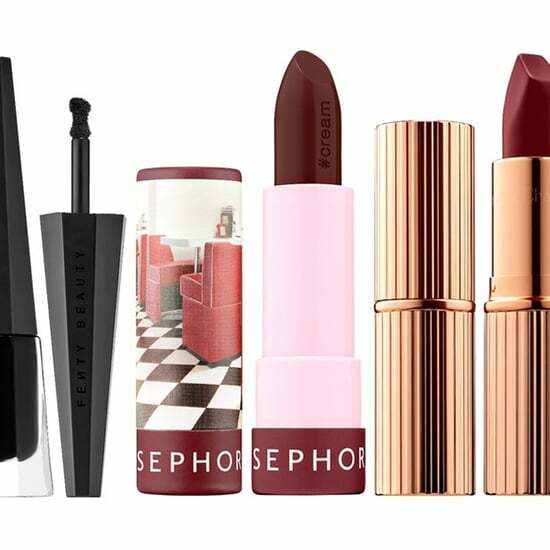 5 Sephora Lip Products You Need This Fall — and How to Win Them All and More! 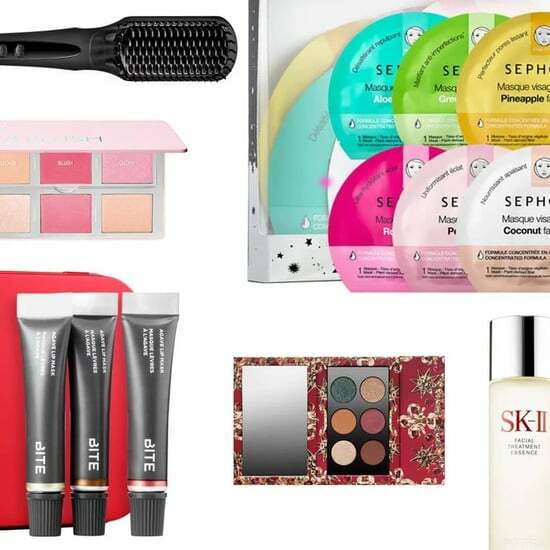 Sephora Is Hitting the Road to Unite Beauty-Lovers IRL, and We&apos;ve Got All the Details!